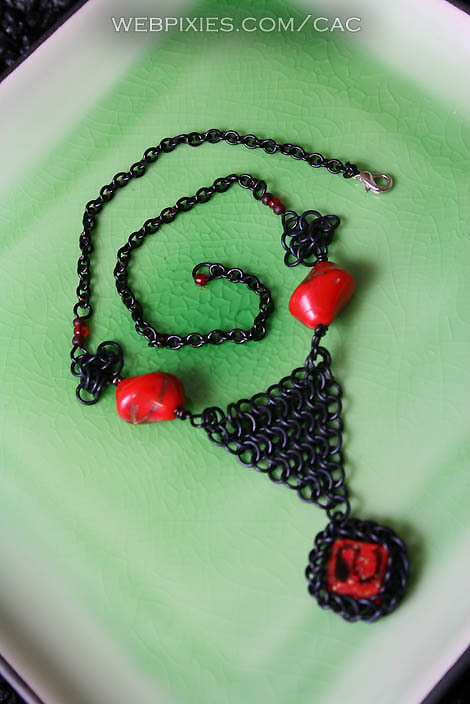 another odd design that came about as a way to showcase the unique beads and the small tile i used as a pendent. The beads and tile both have gold specks and swirls mixed in with the red, sadly it doesn't show off well in this photo(and I o longer have this piece). i really kicked myself when i realized later that the pendent wasn't in focus, thats what I get for doing batch settings to take allot of photos.